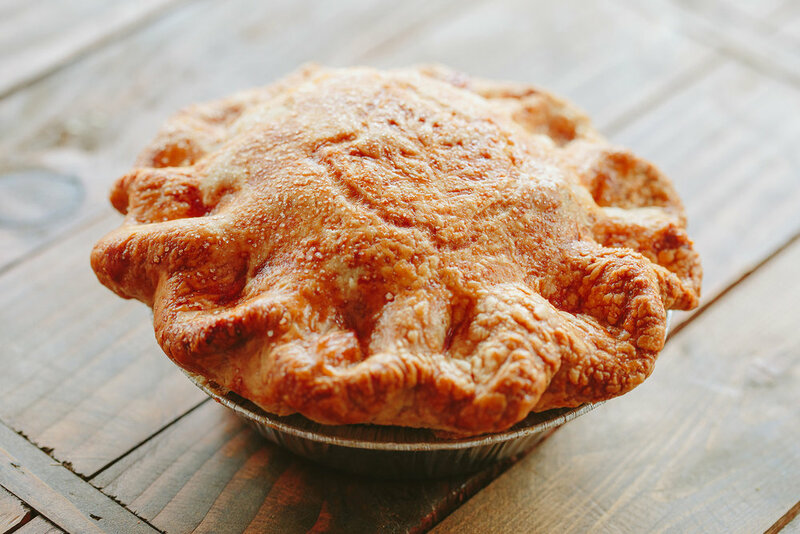 Petsi Pies (pronounced “peet-see”) an indie bakery and coffee bar serving up handmade pies and pastries in Somerville, Massachusetts since 2003. Founder Renee “Petsi” McLeod grew up baking pies in her grandmother’s kitchen and hasn’t stopped since. Everything is baked fresh daily using only all natural ingredients and no fillers or mixes of any kind. 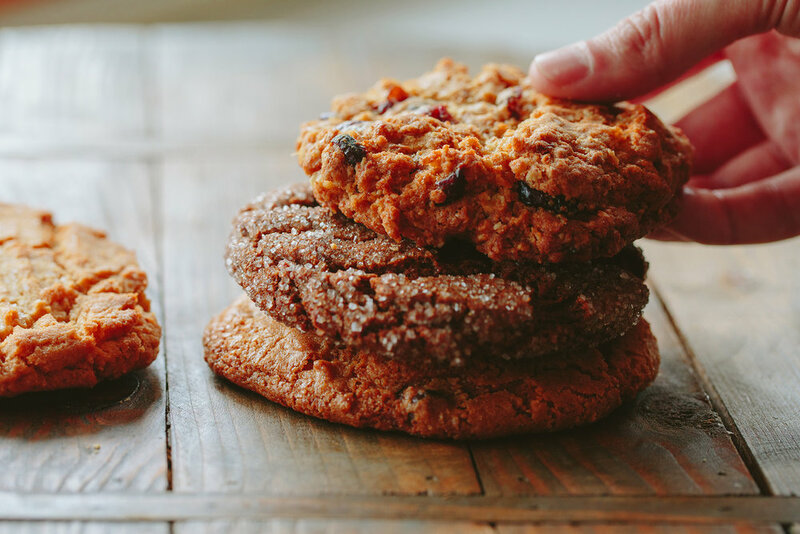 Please stop by our bakery to enjoy some of our creations - there’s always something new coming out of the oven and we can’t wait to share it with you! What is Petsi Pies known for? What makes our customers swoon? 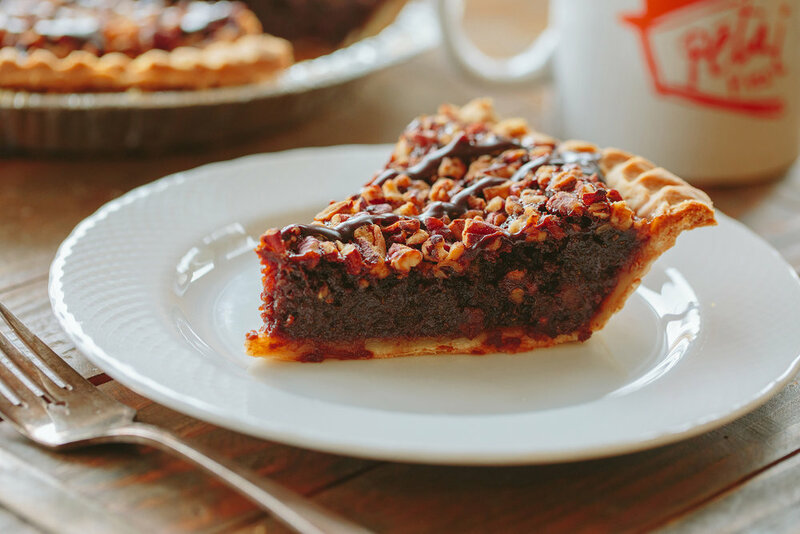 Below are a few suggestions…..
Nestled in our delightful pastry crust, our rich, fudgy chocolate bourbon filling (somewhere between cakey and fudgy) is baked with fresh pecan pieces on top and drizzled with chocolate ganache…ta die for! Did someone say ALMOND? This gorgeous fresh baked brioche is sliced, then soaked in a vanilla syrup, slathered with a marzipan-like topping and sliced almonds and shoved in the oven for a bit more time to marinate in almond goodness and come out sweet and crunchy. Come by in the morning to grab a slice of heaven! Chocolate cupcakes with a little something extra: rich fudgy cupcakes with a fresh whipped cream center and topped with gooey chocolate ganache for a bit of WHOOPIE! Menu items may contain or come into contact with WHEAT, EGGS, PEANUTS, TREE NUTS, and MILK. © 2019 Petsi pies inc.